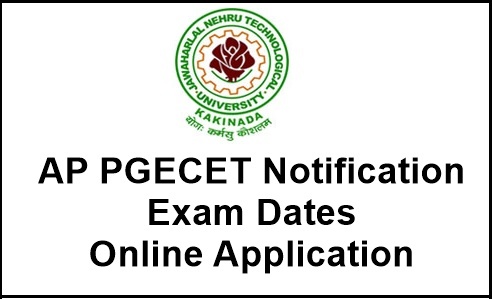 AP PGECET happens to be a state level entrance examination held in the state of Andhra Pradesh. The test is conducted with an eye to providing admission to students who are willing to join regular courses of M.Pharma, M.Tech in the areas of Pharmacy, Technology, and Engineering. On behalf of the state council for Higher education, the Jawaharlal Nehru Technological University conducts this test. Students who have qualified GATE and GPAT do not require to avail this exam as they can procure admission based on their rank. The application form for the examination can be submitted from the second week of March online. The candidate requires scoring at least 25% of total marks for qualifying. Those who will be scoring marks higher than the cut-off have the eligibility for taking admission in M.Tech courses which are offered by the different colleges of Andhra Pradesh. No minimum cut off marks have been mentioned for scheduled tribes and scheduled caste. Only the qualified candidates are eligible for the rank card. The exam will be conducted tentatively in the last week of the month May. Since the official notification is yet to be released, there is no official confirmation of the examination. You can apply for the test as you fill up the application form. You should have a check on the important information which is inclusive of important dates; admit card, eligibility criteria, application form, results, exam pattern etc. As for this year, the examination will be holding on 10th and 11th May. The exam will be conducted in three days where there will be two sessions in each day. Only Indian nationals are eligible to appear for this test and should possess a domicile certificate for the state of Andhra Pradesh. In addition, they will require satisfying the local/ Non-local status criteria. As for the academic qualification, the candidate should have passed the BE/B.Tech course from a recognized university, scoring minimum 50% marks in aggregate. For candidates from Sc and ST communities, the ceiling of the minimum score stands at 45%. Candidates, seeking admission to post-graduate level programs in Pharmacy, should have qualified successfully through B.Pharm examination from a recognized university, scoring minimum 55% marks. Candidates from the SC/ST communities will qualify, scoring a minimum of 50% marks at the graduate level. The application form can be availed online. There are no offline facilities available for students who are willing to apply for the entrance examination. The application form will be made available to the candidates from the first week of March and incumbents can submit the application from latest by the 4th week of April. However, there will be grace time to submit the application form by the 3rd week of May, with payment of late fee. Candidates successfully submitting the application form will get confirmation email/SMS. You can submit the application fee via debit card or credit card or even via AP online centers. Candidates will require answering both the multiple-choice and objective-type questions. The medium for the screening will be exclusively English. Students will require answering questions, bearing 120 marks in a span of 2 hours. Each question bears 1 mark. There is no provision for negative marking if students are producing wrong answers. As for the mode of the examination, it will be a pen-and-paper based test. The Syllabus for this entrance test runs at par with the syllabus for Graduation examination held by all the recognized universities in the country. As obvious, the syllabus is different for the engineering and Pharmacy test. You can download the admit card tentatively in the Month of May on the official website of the university. You should be filling the registration Number which you will get post filling the Date of Birth and Application form with an eye to downloading the admit card. As you fulfill all the details, the admit card for the exam can be found on the screen. You have to take a printout of the same. Admit card is an integral document of the exam. It is a prerequisite for carrying the admit card on the examination date as candidates will not be allowed to sit for the examination without the admit card. The university will be publishing the result on its website by the second week of June and it will bear the marks scored by the students as well as their ranking. While checking the results, candidates will have to produce their registration details. After a few days the university publishes the results, candidates will be able to download their rank cards from the university website. The eligible and qualified students of GPAT, GATE and AP PGECET can attend the web counselling for seeking admission into M.Pharmacy, M.Tech and ME courses for the year . There is no official confirmation of the counselling date yet. The candidates need to attend the counselling for document verification as well as seat allotment. The counselling fee for the candidates is Rs. 600 for appearing in the counselling. For scheduled tribe, scheduled caste and physically handicapped candidates, the fees are Rs. 300. The amount is nonrefundable. As students make the payment of fees, serial number along with password will be conferred to candidates next to whom they are capable of marking the selection of colleges.